The Florida Senate election has become a shambles. Once again we have issues counting the votes—and two of the most liberal counties in the state. What’s taking them so long? The counties ravaged by Hurricane Michael are all done. These two counties are not keeping regular updates on the outstanding ballots. Brenda Snipes, elections supervisor for Broward, the largest Democratic county in the state, is like a deer in the headlights concerning how many are actually left to go. With both election boards not being transparent and no way to verify f their vote count dumps, which are in the thousands, are legitimate, Gov. Rick Scott, who had already declared victory over incumbent Democratic Sen. Bill Nelson, has filed a lawsuit. The National Republican Senatorial Campaign Committee has joined the lawsuit. #Broward Elections Supervisor #BrendaSnipes has a history of destroying ballots and violating Florida election laws. Yet, while Broward has been the center for negligence and incompetence, Scott’s lawsuit against Palm Beach County appears to be worse concerning the allegations of wrongdoing. Under Florida law, if a paper ballot is damaged in a way that prevents the machines from reading it, an election official can run a replacement ballot. In other words, someone else can vote for you if your original ballot is all screwed up. Professor Michael Morley of Florida State University College Of Law, using Scott’s lawsuit documents, found a startling allegation of wrongdoing by Palm Beach County election officials, where they reportedly barred Scott’s campaign representatives from monitoring replacement ballot process. There’s sworn evidence to this allegation as well. He also noted how this is a rather serious power election officials have in the state, which, as you can see, is ripe for possible fraud. These folks can create new ballots, which is why you need witnesses during this process. 5/ @FLGovScott current lawsuit alleges that Dr. Snipes violate state public records laws by refusing to reveal the number of ballots cast, counted, and left to be counted in response to his specific, written request. https://t.co/L8KeV7XYDK. 6/ In my experience, having done election day operations work in other jurisdictions, such a blanket, unexplained refusal is bizarre. At a minimum, one of the most important facts an election supervisor must keep track of, and knows, is the number of ballots her office has. 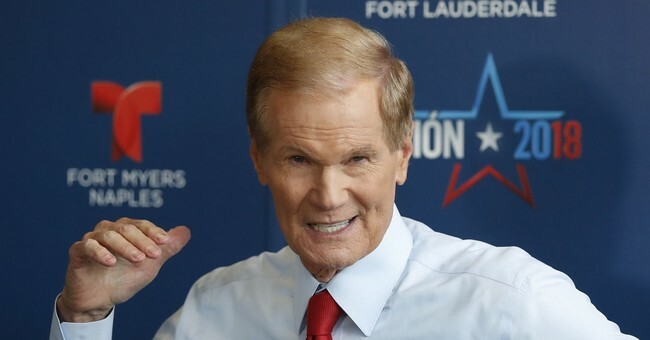 11/ @FlGovScott attorney also alleges the Broward County Supervisor of Elections refused his public records request for copies of the supervisor's daily reports to the Secretary of State about the number of absentee and mail-in ballots counted each day. 14/ State law provides that, if a paper ballot is physically damaged in a way that prevents it from being read by an automated tabulation machine, election officials may make a replacement ballot to be run through the machine instead. 15/ That is an *extremely serious power. * To prevent people from being disenfranchised (potentially due to ballot handling beyond their control), state law lets election officials create replacement ballots to be automatically tabulated instead of the original vote. 16/ In other words, election officials, quite literally, create new ballots to be counted. Obviously, the law requires them to fill out the replacement ballots the same way, for the same candidates, as the original damaged ballots they're replacing. Florida’s elections are heading for a recount. The legal teams on both sides are mobilizing, and Scott has vowed that this race will not be stolen.